Olga is very passionate about helping fellow Entrepreneurs and Business professionals achieve success through personal growth and inspire motivation. She sincerely believes that collaboration helps maximize the knowledge, experience, and skills necessary to become successful. 2005, Olga immigrated to Canada with her husband and kids. She decided to start a new life in Canada by opening a business. 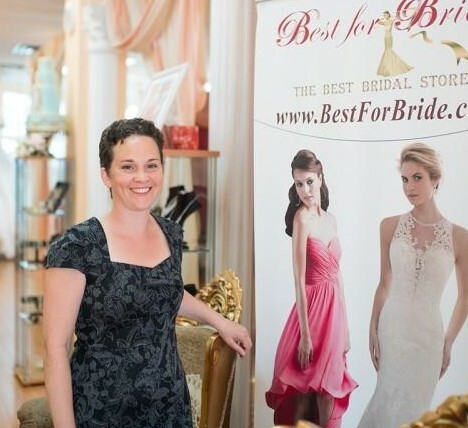 A few months later, Olga opened her first Bridal Boutique called “Best For Bride”. With many struggles & challenges in the beginning, after making some mistakes, and plenty of self–education, Olga became a successful entrepreneur, a business woman, with a successful chain of four Bridal Stores that operate in four major cities (Toronto, Etobicoke, Barrie and Hamilton). While working on improving the business and raising her three kids, Olga believed in the power of Personal Growth Education and importance of networking. Olga’s belief is that networking will help an individual stay up-to-date on the latest industry trends and job markets, improve and grow their skill set, meet prospective mentors, partners, and clients, and acquire the necessary resources that will further career development.